Team, every swimmer is a champion. Swimmers celebrate the goals and mission of the YMCA through team-work and sportsmanship. Emphasis is on enjoying swimming and doing one’s best. 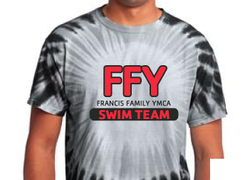 Everyone’s a winner on the Francis Family YMCA Swim Team. The YMCA's Core Values are Caring, Faith, Honesty, Respect and Responsibility. 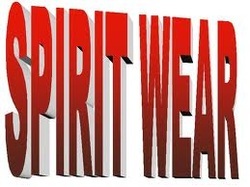 We will begin taking orders for Spirit Wear at the home meet this weekend. We are offering t-shirts, long sleeve t-shirts, hoodies, and sweatpants. Spirit Wear makes a great present for your swimmers! 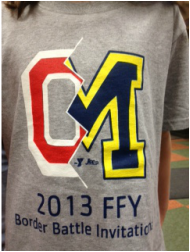 Please turn orders in to Julie Bushroe or leave them at the front desk at the YMCA. Orders are due November 30 so that we will have them in time for Christmas. Make checks payable to FFY Swim Team. A multiple swimmer discount of 15% is available; the swimmer in the highest group pays full fee and all other swimmers receive the discount. with 15 teams from Michigan and Ohio! 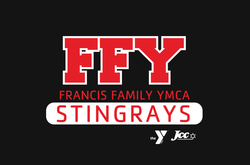 Design of T shirt is FFY's own Stingray, Cassidy Wilson. Watch the meet on BCSN until 2/26/13 on BSCN website or if you have Buckeye cable, go to Video on demand (VOD) to sports, to swimming, to high school swimming, to BorderBattle. 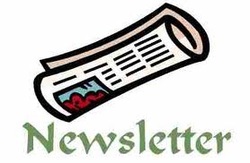 Swim suit sizing, meet the team, meet the coaches, informational meeting for parents, entertainment for kids, and have the opportunity to register your swimmer(s). Also learn more about the FFy Stingrays cost, team activites, training groups and USA swimming option. Click on icon to learn more about USA Swimming.